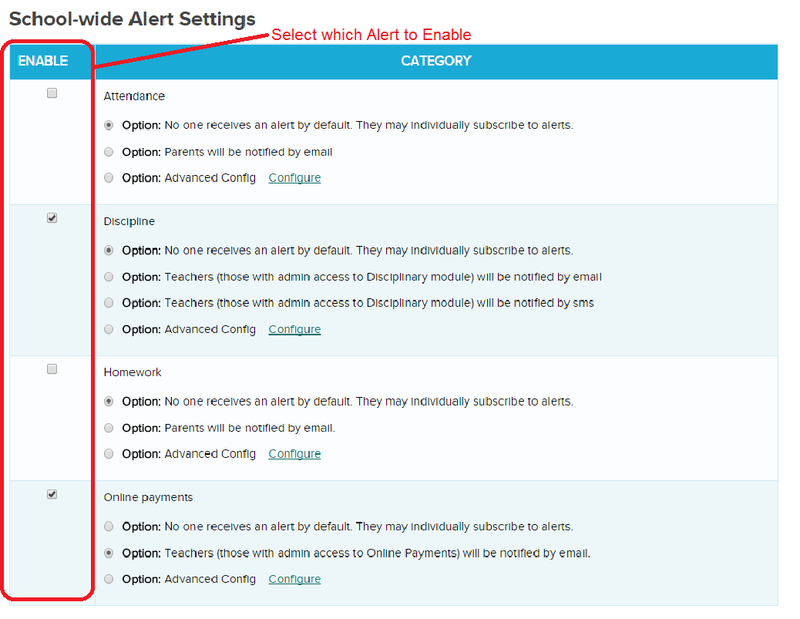 Attendance: Parents can receive notifications when attendance is taken for their students. Discipline: Administrators can receive notification when a new disciplinary incident is created. 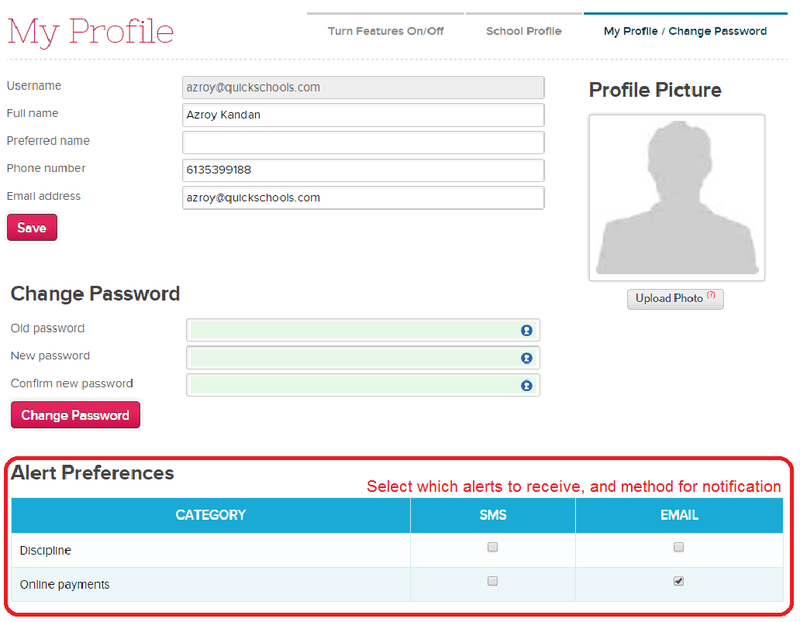 Homework: Parents can be notified when homework is assigned. Online Payments: Administrators can be notified when an Online Payment is received. Remember that the Alert Notifications is still in private beta. You will need to request access from our technical support team. Further refinements and improvements will be made to this module before it will become fit for all our users. Do let us know if you have any further comments or suggestions for improvement.